The premium rice wine, made in Kittery, is a lighter alternative to grape-based wines. Dan Ford jokes that his Blue Current sake is made with Maine ingredients because the water in it comes from Maine. The rice comes from California (and is milled in Minnesota), but Ford hopes one day that will change, if Maine farmers ever succeed in growing rice as a viable crop in New England. 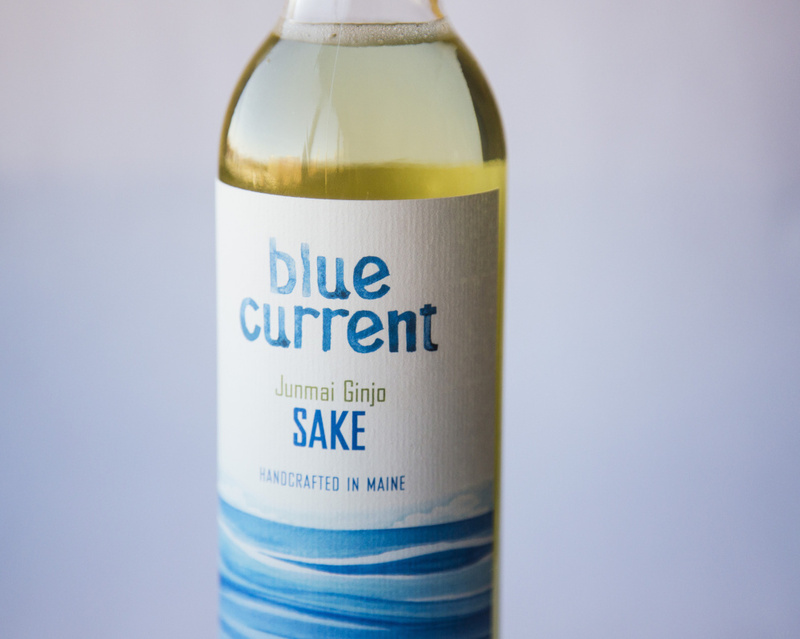 Nevertheless, Blue Current’s Junmai Ginjo is made in Maine, a complex process that takes six to eight weeks to finish one batch. Ford is an “advanced sake professional,” in sake parlance, and master taster of sake – similar to a master sommelier. He studied with John Gauntner, the first non-Japanese certified master taster of sake, head of the sake education council in Tokyo, and co-founder of Sake Today magazine. 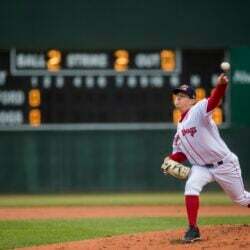 I first profiled Dan Ford a couple of years ago and wrote about his dream of starting a sake brewery in Maine. His brewery launched this year in a 2,300-square-foot facility in Kittery. Ford designed most of the equipment himself. Students at the University of Maine, where Ford teaches a module on sake for a fermented food and beverage class, constructed his rice steamer. Ford’s Junmai Ginjo is a premium sake made with highly polished rice. It is light and complex. I tried Blue Current chilled, and it was delicious. If you’re used to bringing a bottle of wine to holiday parties, the 750 ml bottle would make a great alternative hostess gift, especially for hosts who are gluten-free so can’t drink craft beer, or are staying away from the sulfites found in other wines. 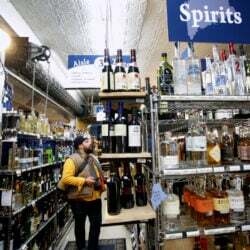 I bought a bottle at RSVP on Forest Avenue in Portland for $15.99, but you can also find it at Old Port Spirits on Commercial Street. It’s available at 20 restaurants in Maine as well, including Pai Men Miyake, Sapporo and Yosaku in Portland and others in Kittery and Ogunquit. In Kittery, even the local 7-11 sells it.